Life Path 4 tells of an entrance to this plane of existence accompanied by natural skills in making things work through a combination of intelligent planning and practical building and fixing abilities. Individuals on this Path are the ones who build society from the ground up. They are frequently described as down to earth and practical and are usually quite trustworthy as well. Many Life Path 4 people marry their ideals to practical plans for making them come to fruition. You may come up with grandiose schemes that seem out of reach, but you are able to apply the knowledge and expertise it takes to get them done. If you are willing to put in the effort, you can achieve exemplary success in life. 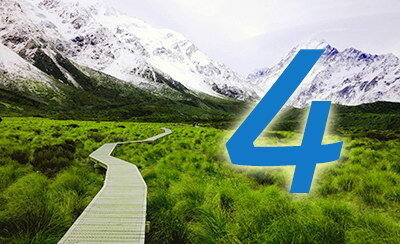 Many entrepreneurs and powerful executives are following Life Path 4. If a person on this path lacks the drive it takes to get there, they can dedicate themselves to a strong leader and be happy working toward someone else's grand idea. All this dogged effort toward their goals can morph into a negative side of a Path 4's personality. Shallow people frustrated or angry you and it can be difficult not to tell them what you think. Some are too dedicated to the daily effort that they may miss great opportunities.